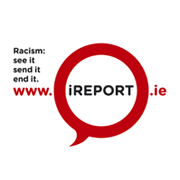 We are calling for the government to enact the proposed Criminal Law (Hate Crime) Bill immediately, to protect people from various minorities in Ireland. We want to help break the silence on hate crime, encourage people to report racism and other hate attacks and to find effective ways to address it. This legislation can help to achieve that. Ireland, unlike most other EU countries, has no hate crime legislation. The YES Equality campaign was an amazing show of public support for equality in Ireland. We want our government to take the next step, and protect those among us who are perceived to be different because of our skin colour, ethnicity, religion, sexual orientation, gender identity, age, physical or mental abilities and so on. We need to send a clear message that racism and hate have no place in our communities and that our society should be inclusive of all. The proposed Criminal Law (Hate Crime) Bill was drafted in 2015 and provides for sentencing to be increased and for crimes to be treated as more serious if prejudice or hate can be shown to be a motive. However, now that the Bill has been drafted, the Government has yet to take action to review and introduce it, leaving minorities in Ireland without protection. We have the draft legislation, so let’s put it into action! Please sign this petition to the Minister for Justice, who has power to enact this legislation. Let’s make sure she feels the strong pressure from thousands of us to protect our families, friends, neighbours and colleagues. Help us send out a strong message that we want to live in a truly inclusive Republic which values all of our minorities and the integrity of our communities. Let’s make sure there is no space for hate in our country. Notes: The proposed Criminal Law (Hate Crime) Bill was drafted in 2015 by the Hate and Hostility Research Group at the University of Limerick. This work was conducted following a 2 year government consultation process involving ENAR Ireland and a host of other Non-Governmental Organisations. The petition will be delivered once we know the new Minister for Justice.